UPSC Cut-off Marks 2018 for Civil Services Examination is now available in the public domain. The minimum qualifying marks for Prelims, Mains and Interview stages of UPSC IAS Exam 2018 is released. About 10 months before, aspirants who wrote Prelims 2018 were busy predicting the possible cut-off score for preliminary exam. This official declaration now ends the predictions and speculations regarding the UPSC cut off marks. Note: Cut off marks for UPSC Prelims is on the basis of GS Paper‐I only. However, GS Paper‐II was of qualifying nature with 33% marks as per Rule 15 of Civil Services Examination, 2018. Note: Subject to 10% marks in each of the seven competitive papers i.e. Essay, GS‐I, GS‐II, GS‐III, GS‐IV, Optional‐I and Optional‐II. 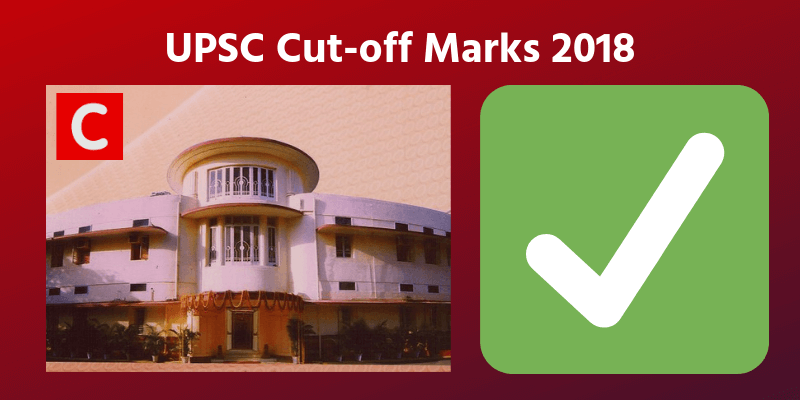 The cut-off marks has fallen for all stages – Prelims, Mains, and Interview – in UPSC CSE 2018. This is contrary to the perspective that cut-offs will rise as vacancies were reduced, compared to previous years. It is the first time in 4 years that the general cut-off came below 100. A candidate just needed 98 marks out of 200 as per official UPSC Key to clear UPSC CSE Prelims 2018 (49%). The General Cut off for Prelims was 105.34 in 2017, 116.00 in 2016 and 107.34 in 2015. Also, to be selected into the prestigious Civil Services, in 2018 a general category candidate had to score just 982 marks out of 2025. In percentage terms, this would be 48.49%. This means if you had just scored 49% marks in the last year UPSC Exam, you were safely in! Of-course, this is not easy considering the strict valuation standards of UPSC, but we just wanted aspirants to know that UPSC is always a low scoring game! PS: To check the previous year cut-off mark trends, check this link. How close were you to the Minimum Qualifying Marks, last year? Looking at the cut-off score, many of you who missed it by a narrow margin can now realise how close were you. A few marks could have changed your career, life, and destiny. The ideal thing to do now is not to repeat the past-mistakes. 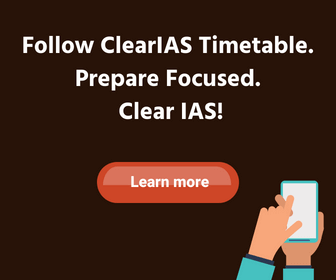 To get the extra-edge you badly need to clear Prelims, join ClearIAS Prelims Online Mock Test Series 2019. It’s not yet late! But don’t delay it further! 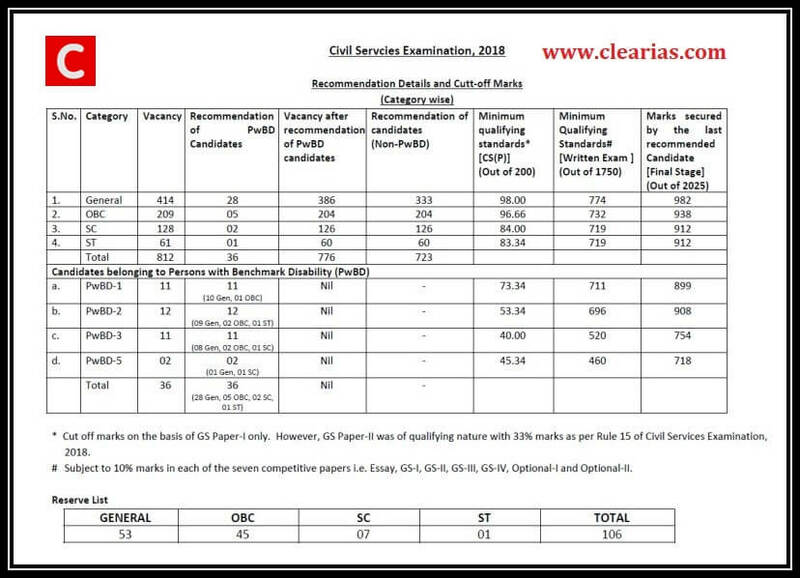 The cut-off marks for UPSC Civil Services Exam depends on many factors like number of candidates in the competition, number of vacancies, exam difficulty, and valuation standards. In general, UPSC Civil Services Exam (CSE) is a low scoring exam – and is widely considered as one of the toughest exams to crack, considering the fact that the vacancies are only less than 1000, while the number of applicants are around 10,00,000. However, any serious aspirant who prepare strategically, combining knowledge with the right techniques, can easily clear UPSC Civil Services Exam. Testimonials of ClearIAS online students proves this. All you need to do is to work hard (and smart) to ensure that you score at-least above 49 percent! I wana prepare the upsc exam ..
@ Notes Kumar – We suggest you to start from ClearIAS guidance/strategies page. @ Abhijeet – We do understand your emotions. 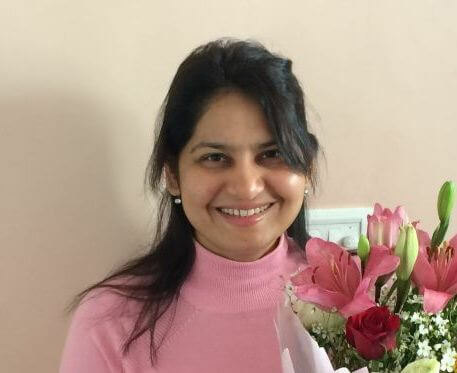 Of-course, scoring 49% marks is not easy considering the strict valuation standards of UPSC, however, in one sense it also gives a positive signal that you don’t need to score 99% + marks to be a topper unlike in some other exams. Many beginners and veterans are not aware of the percentage requirements, so we just wanted aspirants to know that UPSC is always a low scoring game! We wish you clear the UPSC CSE with a high score soon. All the best! I’m yet not completed my degree. I’m studying in B.E 2nd year. Is there any strategy and skills from now i can develop ? Please provide me information with clearias 2020 integrated program- schedule ,fee structure and strategy.